Steve's Auto Restorations | STEVE’S AUTO RESTORATIONS BUILDS THE 2017 RIDLER WINNER! We took two cars for display at this past 2017 Detroit Autorama. One was a 1957 Corvette owned by Don Habben, which was debuted at the 2017 Grand National Roadster Show and the other was the “one-off” aluminum “Renaissance Roadster” owned by Nancy & Buddy Jordan of Springbranch Texas which was debuted in Detroit. 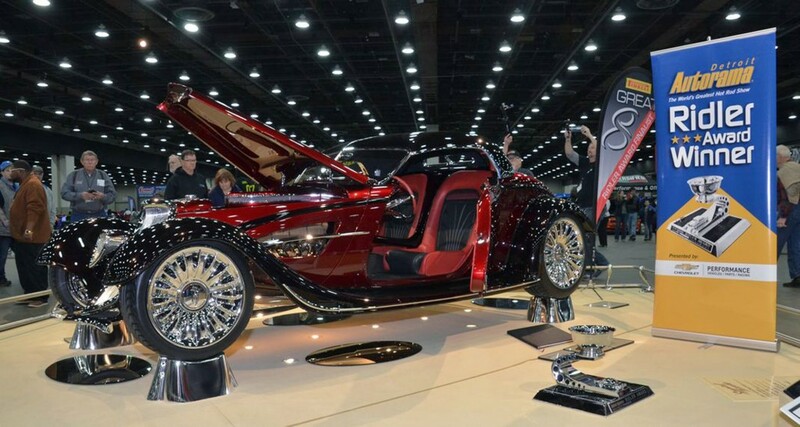 The “RR” was first announced to be in the “Great 8” field and then at the Autorama awards ceremony it was announced that it won the prestigious “Ridler Award”. I want to thank Buddy for allowing us to build this creation for him and for allowing us to debut it at Detroit. This car and this award are the highlights of my career and a highlight for Steve’s Auto Restorations and its talented crew.